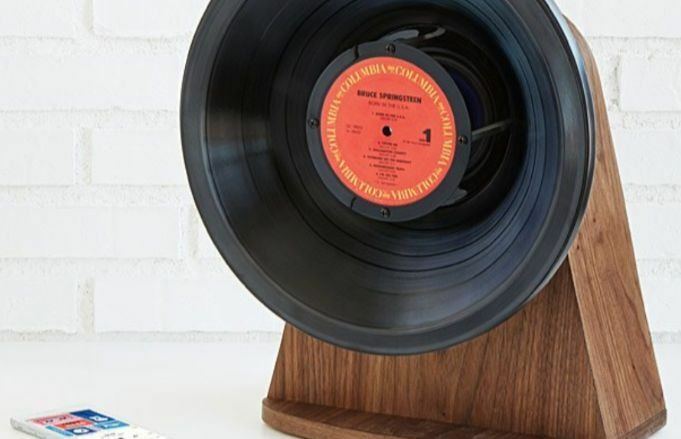 Why settle for an ordinary bluetooth speaker when you can have a one-of-a-kind vinyl record speaker? You can truly celebrate music by listening to your digital collection through a vinyl-made, bluetooth speaker. Creator Jeff Davis partnered with UncommonGoods to create a unique bluetooth speaker, which can be customized to make it truly fit your personal interests. “I think when you buy an object, whether functional or decorative, it should be something that brings you joy and that you look forward to using,” Jeff Davis tells UncommonGoods. If you want your own Vintage Vinyl Bluetooth Speaker, click here to begin customizing.